Published annually in December since 1979 the Ports of Scotland Yearbook is a comprehensive reference book for port users throughout Scotland, England, Wales and Ireland. 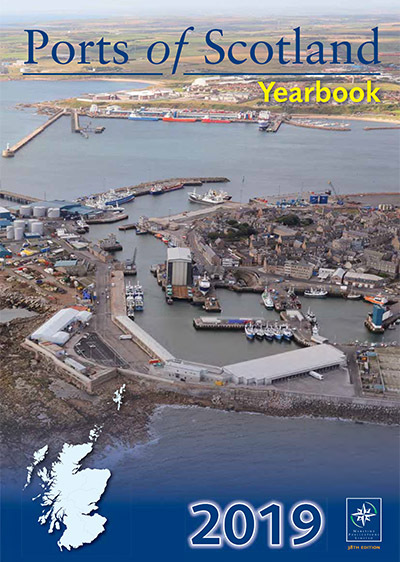 Printed in full colour and now expanded to 320 pages it includes detailed information on over 90 Scottish port and harbour authorities, including plans, photographs, facilities and useful contacts. More than 150 advertisers also provide extensive information on support services available in or near the ports making it an invaluable reference book for shipowners, shipbrokers, charterers, importers and exporters as well as the oil, renewables, fishing and cruise ship industries.